Speaking at the Ram Kath Park in Ayodhya in the presence of South Korean First Lady Kim-Jung Sook, the Bharatiya Janata Party (BJP) leader also announced a slew of projects for the development of Ayodhya. A day before the nation celebrates Diwali, Uttar Pradesh Chief Minister Yogi Adityanath renamed Faizabad district to Ayodhya. This is the second time in less than a month that Adityanath changed the name of a major place in his state. Speaking at the Ram Kath Park in Ayodhya in the presence of South Korean First Lady Kim-Jung Sook, the Bharatiya Janata Party (BJP) leader also announced a slew of projects for the development of the city. “I want to inform you that this district (Faizabad) will now be known as Ayodhya,” the CM said as the gathering raised ‘Jai Shree Ram’ slogans. 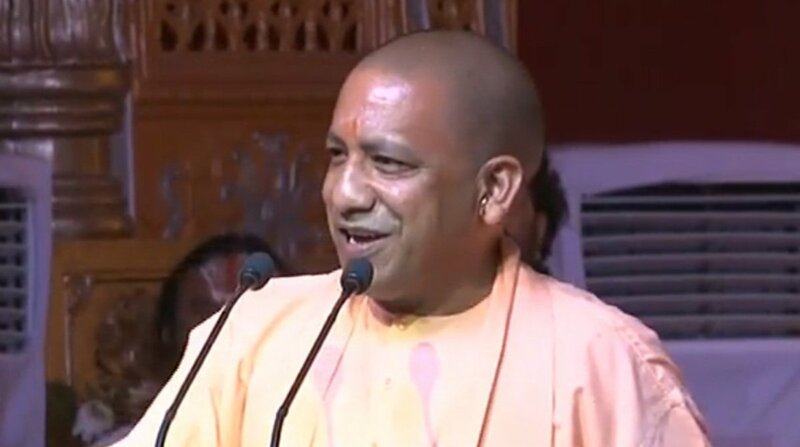 The announcement comes days after the UP CM changed the name of Allahabad to Prayagraj, which he justified two days ago with a reference to Duryodhana and Ravana, the mythological antagonists of Mahabharata and Ramayana, respectively. Welcoming the South Korean First Lady to the major event in Ayodhya on 6 November, the CM said that South Korea’s participation is proof that the world connects Ayodhya to the Hindu festival of Deepawali. “We are connecting with our past. We must remember that the person who has forgotten his roots is like Trishanku,” said the CM referring to the Hindu mythological character who was cursed to stay suspended between heaven and earth. The CM also said that he will be taking forward Ayodhya’s newly-established links with Janakpur with a visit to the historic city in Nepal. “The bus service started by Prime Minister Narendra Modi between Ayodhya and Janakpur gave a new height to the historic and cultural ties between the two cities. This time, to take it forward, I will be going to Janakpur with our saints for a special ceremony,” the CM announced. PM Modi had in May this year flagged off a bus service connecting Janakpur, the birthplace of Goddess Sita, to Ayodhya, the birthplace of Lord Ram. He had also offered prayers at the historic Janaki temple in Janakpur becoming the first Indian Prime Minister to do so in the birthplace of Sita. Stressing that Ayodhya is the “symbol of our honour, prestige and pride”, the 46-year-old CM said that the city’s identity is with Lord Ram. “No one should be able to take away the memory of Lord Ram from your minds. We celebrate Deepawali in memory of Lord Ram’s return to Ayodhya after 14 years in exile,” he said. The CM said that a new medical college will be established in Ayodhya which will be named after King Dasharatha. “We will also construct an airport here named after Lord Ram,” he said. 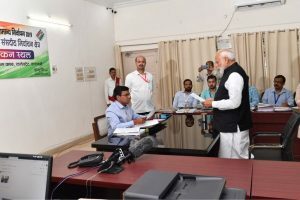 Plans for the expansion of electric lines and the cleaning of River Saryu were also announced by the CM. But there was no announcement of a statue for Lord Ram, in spite of a growing chorus for the same to be built in Ayodhya. The CM also avoided any mention of Ram temple, in spite of a growing clamour for a legislation to pave the way for the construction of the temple if the Supreme Court did not deliver a verdict soon. Earlier today, the UP CM and the South Korean First Lady laid the foundation stone for Queen Heo Hwang-ok’s Memorial. According to some accounts, princess Suriratna from Ayodhya married Korean King Kim-Suro in 1st century AD, and became Queen Hur Hwang-ok.
First Lady Kim Jung-sook arrived in Lucknow on Monday evening on a two-day visit to Uttar Pradesh. She was received at the Chaudhary Charan Singh International Airport at Amausi by the CM. The South Korean First Lady heads a delegation and will attend a string of events in the temple town of Ayodhya including a grand ‘Deepotsava’ organised by the BJP government in the state.